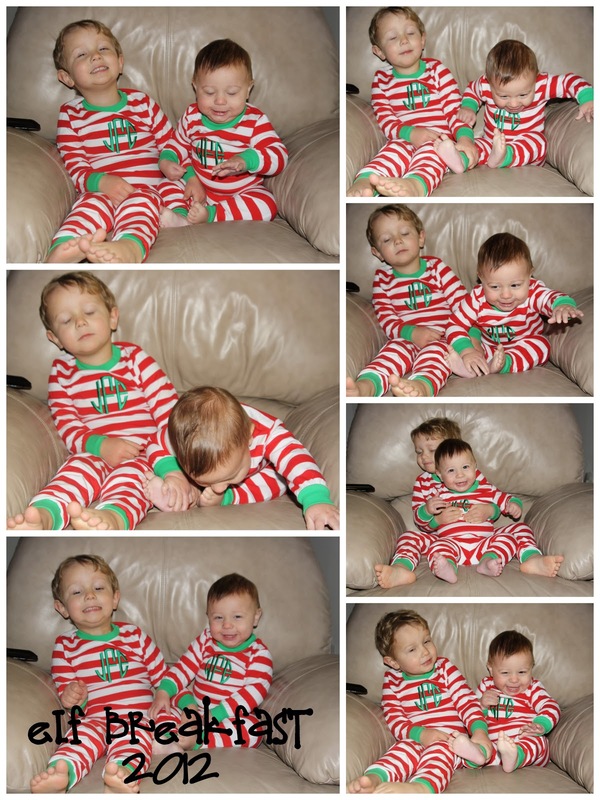 I'm linking up with Meredith Tichenor today for her Christmas PJ Party! Check back next Friday for another link up. Some of us might have gone a little Christmas jammie crazy this year. Whoops! Between Cacky and myself, I think the boys have at least five pairs of Christmas jammies. I've only photographed two pairs. You'll see why in the first collage, which I've actually already posted. I got these sweet jammies from Hether at Ditsy Daisy Boutique (on Facebook!). I'm willing to bet she'll offer them again next year. They are SO comfy! I don't monogram much for the boys since I'd rather pass things along, but I had to make Christmas morning jammies special! And these are from Baby Gap. They coordinate with dinosaurs wearing hats and scarves but the big boy ones are two piece button-ups and the baby set is a zippered footie. Totally forgot about the next set! I didn't remember that I'd taken pictures! They're also from Baby Gap. It's been warm enough to wear the thinner cotton ones in Georgia! They are so precious. I have a special place in my heart for little brothers in matching PJs. Thanks for continuing to encourage me to do this link up. I'll be glad I did in a few weeks when the holiday craziness is over. Love those precious boys of yours!